Typically, after finishing with playing tennis on a clay court, one is expected to swipe the court with a rug. 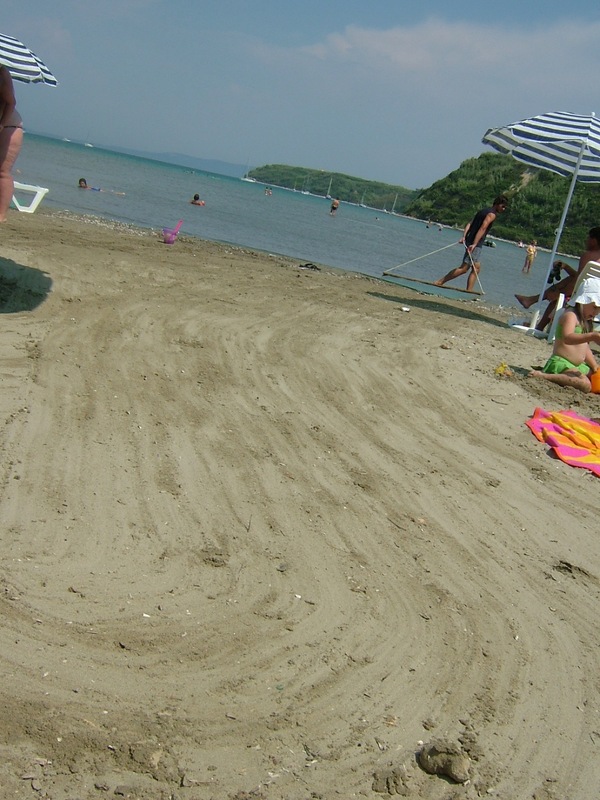 I have ‘copy-pasted’ this act into a public scene – a sand beach. 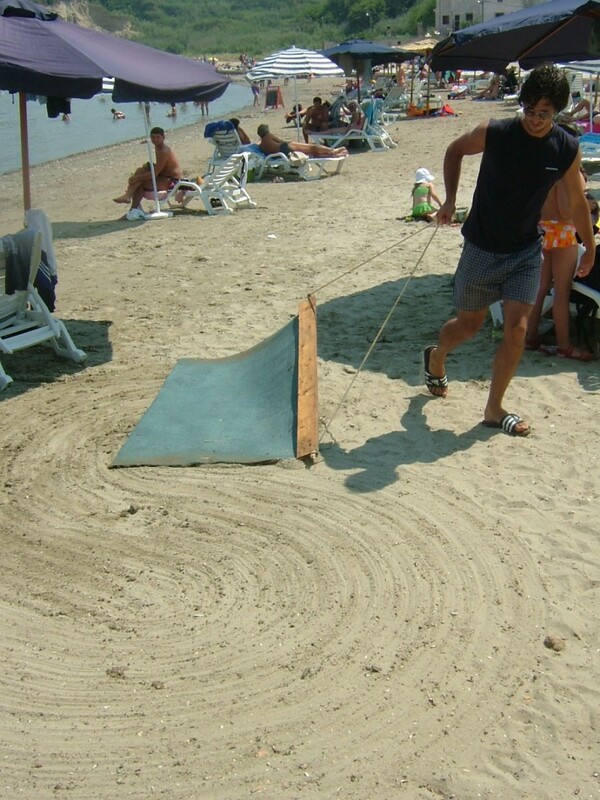 Dressed in a most casual summer outfit I swiped the entire beach, using the rug in the same way one would use it on a tennis court. The beach was firmly busy and I wasn’t insisting on cleaning certain areas occupied by people. In spite the fact that nobody had ever seen such a thing done on a beach, it was not recognised as an absurd act. The level of public’s suspiciousness towards the whole act was overtaken by the convincingness of the performance.